Looking through names of roofing companies in the hopes of finding the right one for your roofing repair, maintenance, or replacement can be difficult if you don’t know what you’re looking for. 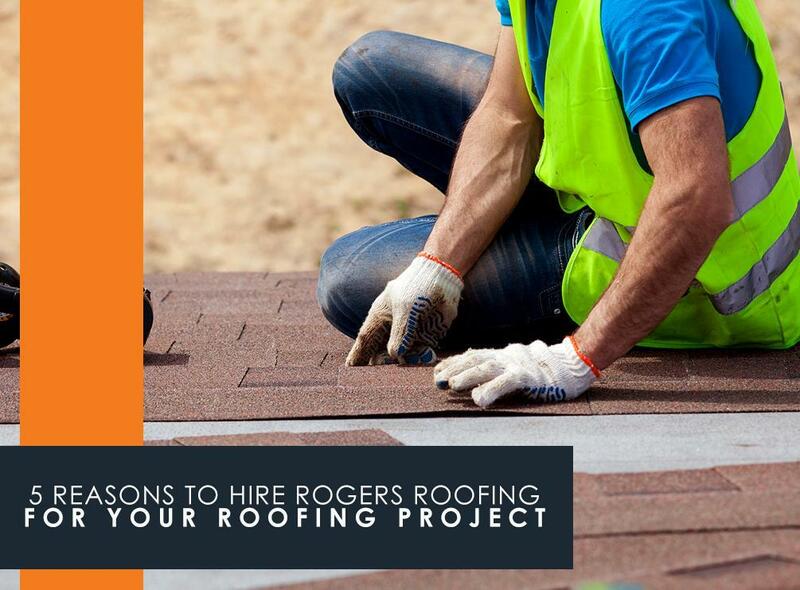 If you happen to be in the vicinity of Illinois and Indiana, stop searching and just choose Rogers Roofing. We’re a duly licensed roofing contractor – A contractor’s license, which shouldn’t be mistaken for a business license, is not just an indicator that a contractor is allowed to operate within a given state or city; it’s your assurance that the contractor is familiar and complies with local building codes and other requirements. Our license information is readily available at our website, which you can easily verify with the State of Illinois Department of Financial and Professional Regulation. We have proper insurance – Along with a valid license, contractors need to have contractor’s insurance. which should at least have general liability insurance and workers’ compensation as coverage for accidental property damage and worksite injuries, respectively. Both protect you from liability in case either happens. We at Rogers Roofing have both, for your protection. We have several manufacturer certifications – Manufacturer certifications are a badge of honor among roofing contractors, which indicates the roofer has received training and supplies straight from the factory. We are proud of our twin certifications as CertainTeed Master Shingle Applicator™ and CertainTeed SELECT ShingleMaster™, which lets us offer exceptional roofing materials and warranties to our clients. We’ve received multiple awards – We’re honored to have received the 2013 Big 50 Award from Remodeling Magazine, among other awards. We are equally proud of our designation as an Accredited Business with the Better Business Bureau (BBB) in addition to maintaining an exceptional A rating for 18 years. We are also members of the Certified Contractors Network (CCN), an industry organization committed to homeowner satisfaction. We focus on quality installations – If being able to offer exceptional warranties isn’t enough, we also ensure that all our roofing installations are inspected for quality before being pronounced completed. Our testimonials page is proof of our commitment to providing the best roofing work you can find anywhere. Rogers Roofing serves Schererville, IN and nearby areas in Chicago and Northwest Indiana. To know more about our roofing services, call us today at (219) 228-8210 for Indiana residents, while you can call us at (773) 492-2270 if you’re in Illinois. You can also fill out our contact form for a free, no-obligation estimate.